This Wayfinding System Has a Metal Design for Holding the Graphic! 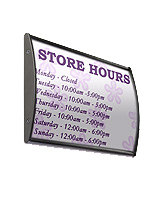 This Navigation Sign Is Architectural Signage That Mounts to Walls! This Wayfinding System Garners Attention! Two-sided tape made of foam mounts to many flat surfaces. 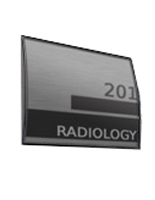 Durable anodized aluminum backer allows years of use. 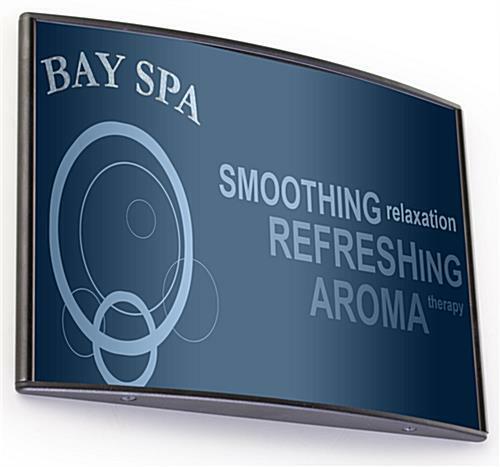 No-glare overlay protects valuable images. Black finish blends with any environment. 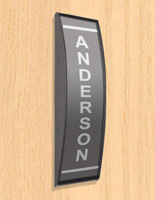 This wayfinding system, also called a name plate, features the anodized aluminum backing for durability. 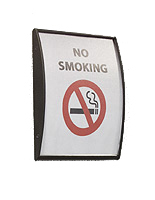 The signage holder has a modern, black color in order to match with the atmosphere. 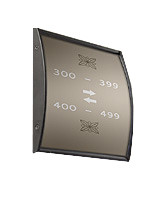 This wayfinding system for indoor display has a convex design that is sure to get attention. The graphic or other message does not come with the unit. Nonetheless, the wayfinding system allows users to make their own messages. A regular printer is able to print out the content. This wayfinding system, commonly referred to as a safety signage holder, comes with 2 pieces of foam tape that is double-sided for convenient attachment to the walls. 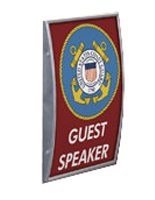 The name plate can be quickly affixed to flat display surfaces. 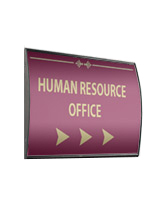 This wayfinding system with adhesive backing can be set-up in either landscape or portrait orientation. The wall sign holder works well in many different locations. 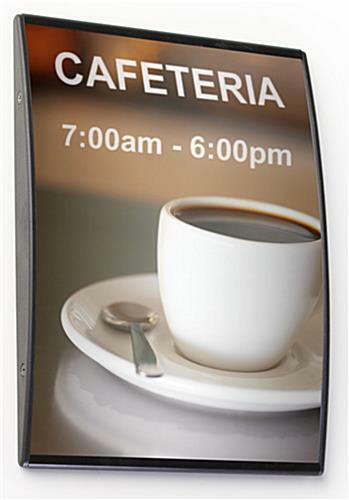 This wayfinding system may present information outside an office door or by a multipurpose room. The name plate is commonly found in public areas as well as private enterprises. 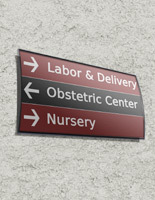 This wayfinding system, like interior signs, is a low cost means of boosting efficiency within any building. The unit will help guests and customers navigate the venue and get where they need to be. This wayfinding system features the non-glare overlay which stops glare from preventing the people from reading the content. The lens keeps the messages in the correct position at all times. This wayfinding system comes with a suction cup for taking off the overlay. User then insert their new graphic. This wayfinding system does not require users to take the unit off the wall when replacing information. 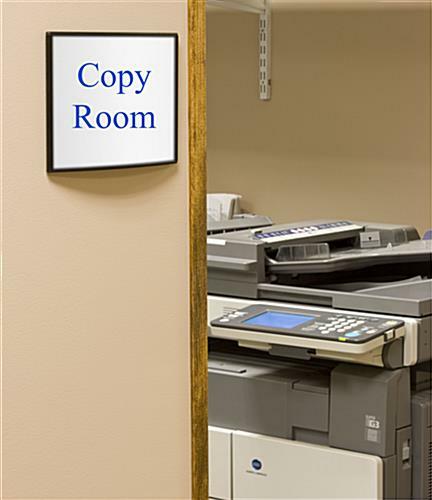 The name plate is a wonderful option for companies that are constantly changing messages.